UHD broadcast solution is a ATSC 3.0 based next-generation broadcast standard for domestic terrestrial UHD (Ultra High Definition) broadcast service. 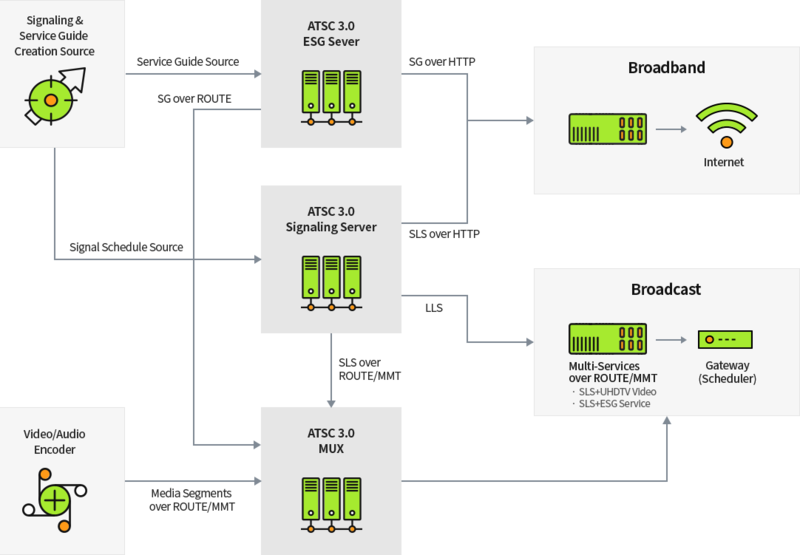 ATSC 3.0 standard can provide not only the standard TV service but various value added services such as service guide, HTML5 application service, VOD, mobile link service, and dynamic application through the IP (Internet Protocol) based broadcast/ TV hybrid network environment. DigiCAP is supplying ATSC 3.0 based broadcasting solutions through broadcast services and equipment experiences accumulated over the years.